This past weekend, we photographed two weddings and we were super excited because the music for both weddings was so fun! On Saturday at the Balboa Bay Club, we heard a few songs that the Wedding Chicks actually recommended in the last music post Music to Your Ears! The bride played White Moth by Xavier Rudd and also The Way I Am by Ingrid Michaelson as part of her ceremony music. I thought WOW - this couple has great taste in music! I was a little curious about how she chose her songs and sure enough, she found them on Wedding Chicks! If you are even considering having live music at your wedding and you in the LA or Orange County areas, we couldn’t give a higher recommendation that Paul. 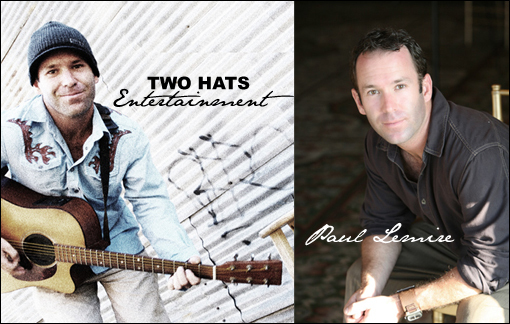 Paul’s company is called Two Hats Entertainment and is based out of Manhattan Beach.